You’ve made a vital first step – education! Before getting any pet you should do your homework. Do you have the time, space, finances, and love to give to a new animal? 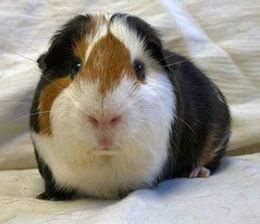 What do you know about guinea pigs? 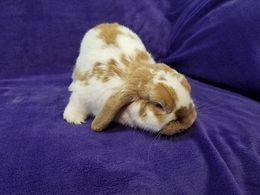 There are so many well-established, information-filled sites out there with advice on guinea pig and rabbit care, equipment, and food, and we can’t encourage you enough to browse through them and learn. Also check out our Animal Care pages to see what’s involved in owning a healthy rabbit or guinea pigs as a pet. If you are still interested in bringing these sweet animals into your home, please make sure that adoption is right for your family. If you wish to proceed, please review the Adoption Process, then complete the Adoption Application with as much detail as possible – incomplete applications will cause a delay in the process. You must be 18 years of age or older to complete the adoption application. The application is used as a tool to understand you as a potential adopter. Our goal is to give these animals loving, forever homes, which we do by matching the right family with the right animal(s). All adoptions are done in person at the rescue in the Dallas / Fort Worth Texas area. Please, only local applicants or those willing to travel to the rescue should apply. We will not ship any animals.